We’ve just added two new summer-friendly relishes to our range! 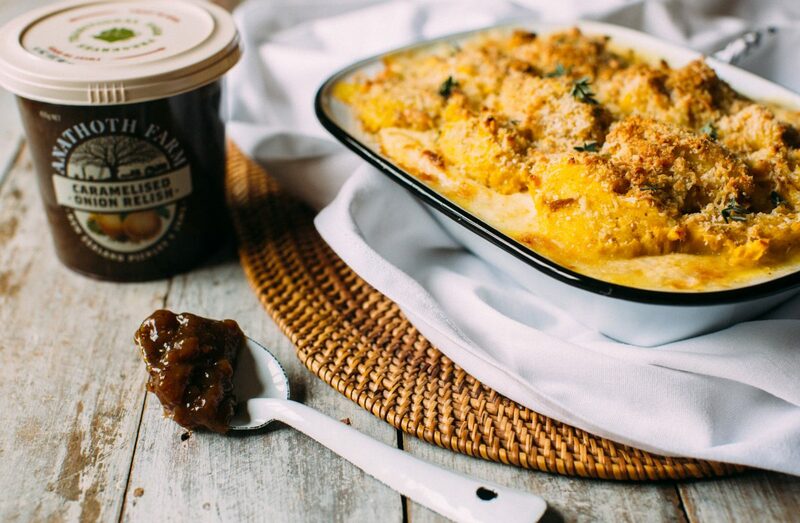 Our Caramelised Onion Relish is proudly made with New Zealand onions sweetened with a combination of brown sugar, currants and molasses. In a foodie sense it’s both complex and flavoursome and have already impressed the judges, being awarded a finalist spot at the 2016 New Zealand Food Awards! Delicious dolloped on BBQ meats, hot dogs, steak sandwich, onion tart, antipasto and sliders it’s also a winner in our Kumara & Fish Pie! 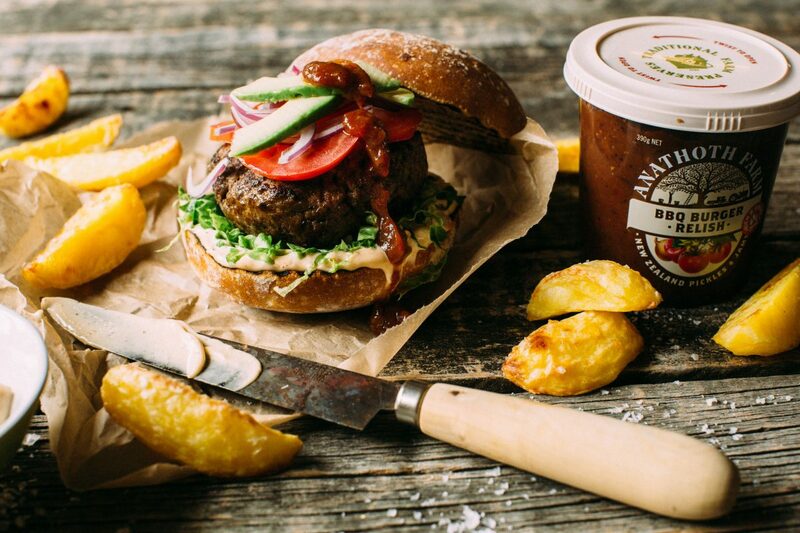 With longer days and warmer evenings arriving, the rich and smoky BBQ Burger Relish will take your regular meat patty to a new level with its blend of spices and smoke extract. It’s great on its own or blended with mayo to make a delicious BBQ aioli dip, extra delicious paired with hand cut fries. Both relishes are available at NZ-owned New World and Pak’n’Save Supermarkets now, RRP $4.99.